This aerial combat began on 22 November, 1971, several days before the formal start of hostilities. The first encounter was so dramatic and happened in full view of so many ordinary people on the ground that it would endure in public memory as one of the most vivid moments of the war. The scene of action was in the eastern sector, a few minutes flying time away from Calcutta, the largest Indian metropolis in the east. 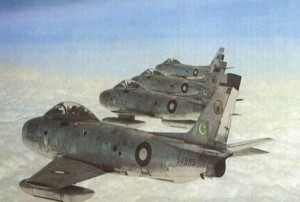 The provocation was the repeated intrusion by groups of PAF F-86 Sabres into a salient inside Indian territory. This salient called Boyra was being used by Bangladeshi Mukti Bahini guerrillas to launch attacks inside East Pakistan. The Pakistani Army in the east had reacted angrily by launching a full scale attack in that sector but had had to beat a retreat after losing 13 tanks and many men. The job of messing up the Mukti Bahini was given to the PAF Sabres which began crossing into Indian territory, strafing the area and slipping back into Pakistani air space. The IAF had to get them while they were in Indian air space. The window was small: barely a couple of minutes wide, and the PAF fighters had to be intercepted over a 3 km wide corridor surrounded on three sides by Pakistani territory. Four IAF Gnats were ordered to scramble at about 2:49 pm on 22 November to take on four Sabres strafing the Indian territory. The Gnats got three Sabres. The IAF formation leader, Flight Lieutenant R. Massey; Flight Lieutenant M. A. Ganapathy and Flying Officer D.Lazarus each got one Sabre. One Sabre crashed into a pond in Chaugacha on the East Pakistani side of the border, while the other two went down over Indian territory. Flt. Lt. Parvez Mehdi Qureshi and Fg Offr Khalil Ahmed, the two PAF pilots who ejected over India were captured and produced before a crowded press conference the next day. The action was splashed in newspaper front pages all over the country and the three pilots who scored hits became national heroes overnight. This encounter set the tone of the air battles that were to follow. News of the incident and the famous gun camera shots were splashed across newspaper headlines the world over and the tiny Gnat acquired a reputation of being the Sabre killer. 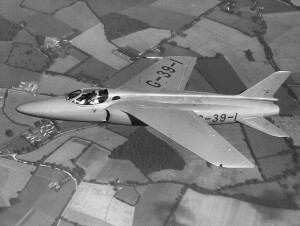 The IAF’s primary interceptor continued to be the Folland Gnat, a tiny but highly maneuverable aircraft that had been passed over by its British manufacturers. The Gnats flew the highest number of sorties during the war. The PAF’s mainstay was the F-86F Sabre, which was in service with many NATO countries although it belonged to a line that had been in production since the time of the Korean War. The Sabre was an excellent aircraft and had been substantially modified over the years to keep up with evolving Soviet combat aircraft. The Indians rated the Mirage-III as the best PAF fighter but that aircraft was not seen as much as it was hoped. The IAF, despite its superiority in numbers, knew it would be a tough fight but was fully prepared for a no-holds barred contest. Posted on January 3, 2013, in Uncategorized and tagged aviation, cars, flight lieutenant, indian metropolis, newspaper front pages, transportation. Bookmark the permalink. Leave a comment.